Sun Pharma Blasted for Adulterated Offshore Pharmaceuticals! Sun Pharmaceutical Industries Ltd. of India, the world’s fifth largest generic prescription drug maker, was slammed by the US FDA with an extensive Warning Letter on December 17, 2015, after unsuccessfully trying to work through the devastation caused by an earlier strong FDA Warning Letter in May 2014. Let’s start in the beginning. 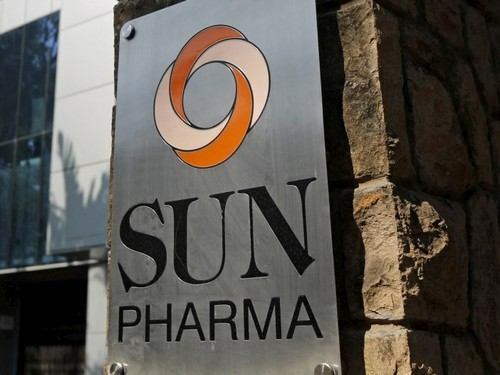 First, Sun has been busy in 2013-15 with their claimed attempts to improve the quality of the company’s vast pharmaceutical manufacturing facilities across India, including plants acquired through Ranbaxy in April 2014. Ranbaxy was the legendary failed mega-pharma, found by the US Department of Justice and FDA to have routinely perpetuated negligent cGMP manufacturing standards and created fraudulent quality control records for US-sold prescription products. Many of Ranbaxy’s products were actually banned by FDA for importation into the USA. Notwithstanding the problems inherited from Ranbaxy, Sun Pharma has its own legacy itself of severe manufacturing violations, including a stern Warning Letter from the US FDA on May 7, 2014. That warning cited several problems at Sun’s Karkhadi, Gujarat facility including deficient cGMP manufacturing practices for both APIs and finished drug products sold in the US. “These violations and deviations cause your drug products and APIs to be adulterated,” said the FDA. The agency went even further and cited Sun Pharma for deleting test data that was unfavorable. More recently, in September 2015, Sun had received a Complete Response Letter from FDA citing “the compliance status of the (Halol) manufacturing facility was not acceptable on the date of approval." That letter was issued in connection with Sun’s first “New Drug Application” (brand name prescription drug) for Elepsia XR (levetiracetam extended-release tablets), a new treatment for epileptic seizures. The drug was originally approved by FDA in March 2015, but the FDA revoked the approval when the manufacturing issues were later investigated and revealed. Even more concerning, this first new drug application came from Sun’s Halol facility in Gujarat, India. That facility was the subject of a recall in the same month after Sun disclosed that lots of generic bupropion tablets made in that facility. That brings us to the present. After repeated inspections and problems at its Halol facility, Sun apparently still doesn’t have its act together. Would you believe FDA inspected Sun’s Halol again and found an incredible litany of cGMP violations: microbial contamination, ineffective air handling risking product sterility, inadequate quality records for media batch filling, poor maintenance of surfaces in aseptic (sterile) facilities and leaking ceilings with dripping water in sterile injectable drug facilities. Worse, there are missing batch records making it difficult to determine if these products were distributed in the USA. The list of violations continues and includes deviations of quality control, testing and impurity. These violations occurred after Sun promised to comply with all of FDA’s prior charges of adulterated product and intentionally bad manufacturing practices. As of September 2015, 39 Indian pharmaceutical manufacturing plants owned by 27 companies were banned from exporting drugs to the U.S. When will pharmaceutical manufacturing professionals finally stand up to the intentional, recurring BAD BEHAVIOR of big Pharma, and reap the established rewards from the US False Claims Act?? Anyone with knowledge and evidence of cGMP violations in the last 6 years may be eligible for an award. It doesn’t matter where you live or whether or not you are a U.S. citizen. The United States Justice Department paid 4435 million in whistleblower awards in 2014. The biggest awards traditionally go to pharma whistleblowers. In the pharma sector, awards exceeding $10 million are not uncommon. Awards are based on a percentage of whatever the government recovers from wrongdoers. Awards range between 15% and 30%. To be eligible, one must have inside information about fraud involving prescription drugs sold in the United States. Our mission is to empower pharma professionals to come forward and put a stop to corporate greed and dirty pharma. We have experienced manufacturing experts and very successful whistleblower attorneys who can evaluate your claim and reward potential, and file your case with the US Department of Justice. It just takes a confidential email or call: [hidden email] +01-202-780-9957 Kevin L. McNeill PIC Chairman We are not Pharma, we fight BAD Pharma …to right the wrongs and ensuring the safety of American patients and families.